The latest brushles 18V power tool from Ryobi has been spotted over in Australia and is a new Ryobi 18V R18IDBL-0 brushless impact driver. 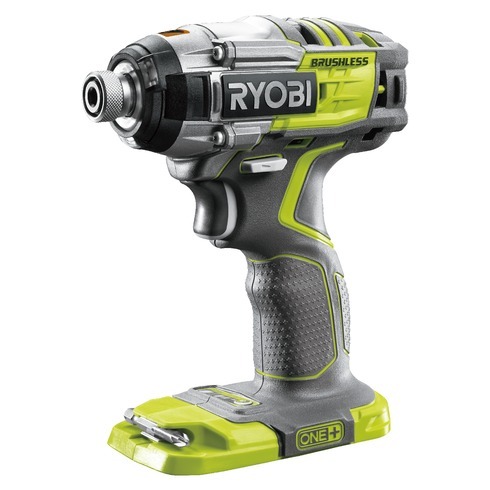 It shares many similarities to the Ryobi 18v brushless drill that was spotted overseas a while back such as it’s unique styling that seems to share a theme with the brushless model with a fresh new slick design and a new slimmed down more ergonomic grip. 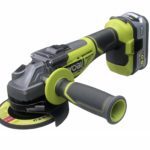 If you thought that Ryobi’s cordless power tool grips were limited in design because part of the battery pack fits inside the handle making them thicker, think again as the new grips appear more sculpted and better fitted. Like most cordless brushless impact drivers, the Ryobi 18v R18IDBL-0 brushless impact driver is also a multi speed driver with a total of 4 modes which are 3 speeds (high, medium, and low) to choose from plus a deck drive mode. 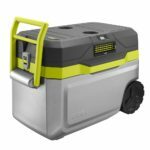 And you can switch between them via the electronic control button located at below the handle above the battery compartment. The deck drive mode slows down the driver automatically when it senses that the screw has been driven near flush with the material so as to not over drive the screw. After watching the video, it reminded me of the Autosense drill from Black + Decker as it appears to work similarly, except that Ryobi does so with an impact driver. Either way I find it to be a great idea. The above stats list shows off the tools specs with a low weight of 2.42 lbs as a bare tool and a max torque rating of 270Nm. When translated to in-lbs, we’re looking at a whopping 2389.7 in-lbs of torque. While this number does seem rather high, keep in mind that each tool manufacturer has their own method of figuring out torque stats so on paper it may sound great but in the real world might perform similar to other impact drivers with lower torque stat figures. It seems to be available in Australia right now over at the Bunnings Warehouse which I would assume is the Australian equivalent of the Home Depot home improvement stores that are found throughout North America. 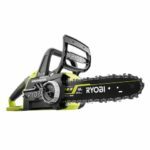 As with most new tools spotted outside the USA, no word is known on when or if this new Ryobi 18V brushless impact driver will make it’s way to North America. Here in the USA we’re still waiting for the Ryobi 18V brushless drill to show up. 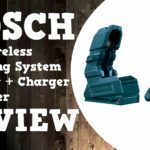 i found this listing for the brushless drill that says it will be released in the US in september 7-12 and will ship from canada, this will be for the brushless drill e torque model and will be on amazon. The seller will be ryobi so i feel it will be legit.